Did you ever notice any troubles with English phonetic spelling? 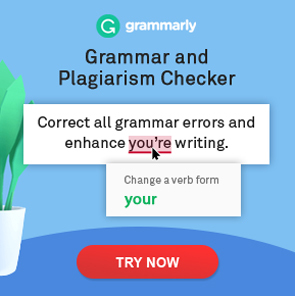 Did you even need essay help because your English is far from perfect? Believe it or not, such problems happen even to native speakers. That is why they turn to Custom Writing for professional assistance. There is nothing wrong with buying custom essay. Now that you’ve decided to improve your phonetic spelling, you should understand that knowing the English alphabet table isn’t enough for perfect pronunciation. Firstly, you should learn the list of international phonetic alphabet, or IPA. If you ever started studying any foreign language, you became familiar with IPA. Every transcription belongs to its alphabet. And transcription is how we write the phonetic symbols. Want to know more? Then continue reading! Also, do not forget that you can buy coursework or any other type of assignment at our website. What is the IPA chart and why should we use it? The IPA chart is a unique classification of sounds according to different aspects. There are 107 phonetic symbols and 52 diacritics in this phonemic transcription chart. Each of them represents its place in the mouth or throat. So everyone can reproduce the sound quickly. The sounds in phonetics also vary by the manner of pronouncing them. What’s important here is how lips, tongue, and teeth work to produce one or another sound. The way you use breath is also essential. It’s vital to document each new phonetic sound in the language so that people can improve their sounds in phonetics. But why should you learn the sound system of English? There are only 26 letters in it! These 26 letters stand for 44 different English phonetic sounds. So many phonetic sounds can be pronounced while reading one letter that appears in various conditions. For example, notice the sound that the letter “a” gives in the words: ‘palm’, ‘date’, ‘sea’, ‘that’. It’s unbelievable how many mistakes you can make in difficult words with three or more syllables. Vowels – these speech sounds in English are produced by the help of air moving freely in the different directions. Consonants – these phonetic sounds are produced by air too, but are stopped by various parts of the mouth like tongue or teeth. There aren’t so many vowel letters in the English language, but their phonetic spelling can be challenging to master. You can listen any of them with the help of our writing service IPA chart. Sometimes it’s challenging to distinguish long phonetic vowel sounds from short ones. A foreigner may think they sound the same, but for a native speaker, the difference is noticeable. For that purpose, IPA and other alphabets use phonetic signs, such as the symbol /:/. Still, it’s troublesome for many ESL speakers to understand that the same phonetic letters can sound differently. And it’s okay because a lot of languages don’t have such difficult letter pronunciation. The difference between those phonetic sounds is easy to notice while pronouncing them. Long /i:/ takes more time than short /i/ to produce, and you have to tense your tongue more. While short /i/ is pronounced without any tension. IPA phonetics regarding consonants is harder to remember. There are many types of phonetic consonants according to the manner of pronouncing them. Fricative sounds – produced when the tongue rubs teeth or the roof of the mouth. Plosive sounds – produced by stopping airflow with an explosive sound. Nasal sounds – phonetic sounds made through the nose. Glottal sounds – sounds in English pronounced in the throat. Approximant sounds – consonants that are similar to phonetic vowels. Affricate sounds – fusion of plosive and fricative sounds. It’s essential to learn how to pronounce different sounds. Once you’ve learned the phonetic alphabet for English pronunciation, there are no challenges for you to present a speech. Just look at the phonetic transcription online or in a dictionary. Our interactive IPA chart will help you with pronunciation if you have any difficulties. Still, there are many issues to cover. If you’re an ESL speaker, you may wonder whether you should pronounce or omit the phonetic sound /r/. Well, it depends on the variant of English language you use. In the American variant English, /r/ is always pronounced. In the British variant of English, you pronounce /r/ phonetic sound only if it comes before a vowel. In other cases, just omit it. For example, in the word ‘print’ you pronounce /r/, because a vowel sound follows, while in the word ‘park’ you omit /r/. Also, make sure to use linking /r/. It appears when /r/ letter pronunciation at the end of the word is omitted, but in a word combination, a vowel sound follows next. For example, in the word ‘bear’ the phonetic sound /r/ isn’t pronounced. But if there is the word combination ‘bear eats’, then the sound /r/ appears in British English spelling. There are phonetic sounds /l/ and /n/ in the English language, which can be pronounced without vowels, even if there are some in a word. That’s why you call them syllabic – because they form a syllable without the help of a vowel. For example, in the words ‘listen,’ ‘bottle,’ and ‘saddle’ there are no vowels before or after syllable phonetic sounds. The glottal stop is a difficult English pronunciation of several sounds like double /t/. To show a glottal sound in IPA transcription, use /ʔ/ phonetic symbol. To pronounce it, briefly stop the sound by holding breath, and then release it. Want to speak like that? Then you can watch this video to master your glottal stop sound pronunciation. The English phonetic system has several difficulties like that. For example, the following one. You can often hear Americans pronouncing /t/ between vowels differently than in other syllables. It can sound like /d/ or even /r/ in some cases. However, it’s rare to hear in the British variant of English language. One of the most difficult things while reading IPA transcription is to understand phonetic sound symbols and use them correctly. Here are some pronunciation symbols which often cause difficulties and mislead ESL students. The phonetic symbol of stress /ˈ/. Though a lot of beginners know what this symbol means, many people read it in the wrong way. Remember that the pronunciation symbol /ˈ/ only affects the syllable which follows it. To represent syllabic sounds, IPA transcription uses the symbol /ə/. For example, the transcription for the word ‘bottle’ is ‘ˈbɒt əl’ and the word ‘prison’ is /ˈprɪzən/. As you already know, it’s important to distinguish short and long vowels in phonetics. But how do you do it while reading an IPA transcription? Long sounds are always followed by /:/ phonetic symbol. For example, the IPA phonetic transcription for the word ‘feel’ is /fi:l/ and the word ‘read’ is /ri:d/. To represent linking /r/ phonetic sound, use the symbol /ʳ/. It means you can either read this sound or not. It usually depends on the English variant you use. For American English pronunciation, it’s normal to always pronounce it. While British people often omit them. Some words can have two IPA phonetic transcriptions. They stand together and appear only when pronunciations differ a lot. For example, the word ‘schedule’ has two variants of pronunciation: /ˈʃedʒuːl/ and /ˈskedʒuːl/. It’s up to you what phonetic pronunciation to choose. The majority of languages have stress in their pronunciation. The English phonetic system has an element like this, too. In IPA transcription you just mark it with a symbol /ˈ/. But what’s interesting is that phonetic English spelling can have two stresses at ones. Primary stress is a regular phonetic symbol used in words with three syllables. Secondary stress appears when there are more than two syllables in a word. It serves to emphasize the syllable which is weaker than the primary stressed one, but stronger than the last syllable. The IPA symbols list represents it as /ˌ/. For example, the IPA transcription of the word ‘alphabetical’ looks like /ˌælfəˈbetɪkl/. The first syllable here is secondary stressed. You may wonder, is it difficult to learn IPA pronunciation symbols? Well, it depends on how much time you spend on it. Almost every teacher would advise you to look up every new word in a dictionary. It can help you understand the English phonetic system in a short time. However, students often ignore IPA transcription and trust their ears instead. It’s nice if you have great listening skills, but remember that you’re more likely to see words for the first in the text, rather than hearing them somewhere else. Moreover, native speakers can use many different variants of the language! That’s why it’s useful to know how to read new words without the help of native speakers. Now that you know how to avoid pronunciation mistakes, you may be interested in this article. It’ll teach you how to write correctly.